Poor quality subsidised Council housing – and surrounds – creates a vicious circle, encouraging lack of tenant care and pride. The City’s Community Residential Units (CRU) refurbishment programme aims to provide upliftment for historically downtrodden communities. It involves general interior and exterior renovations to buildings, fencing, refuse management, area lighting, greening of surrounding areas and the provision of recreational facilities. 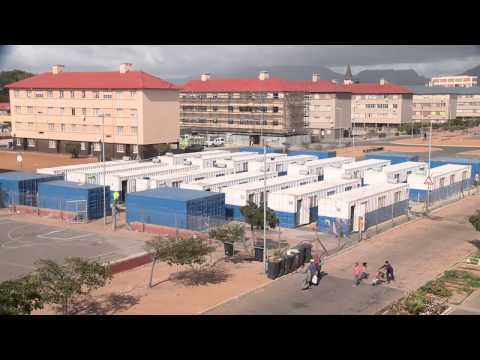 The first phase was rolled out to about 17% of the City’s 45 300 units. NB:Please note that this project is located in an area subject to elevated levels of crime and you are thus advised to contact the housing office (details below) to make arrangements for any site visits.